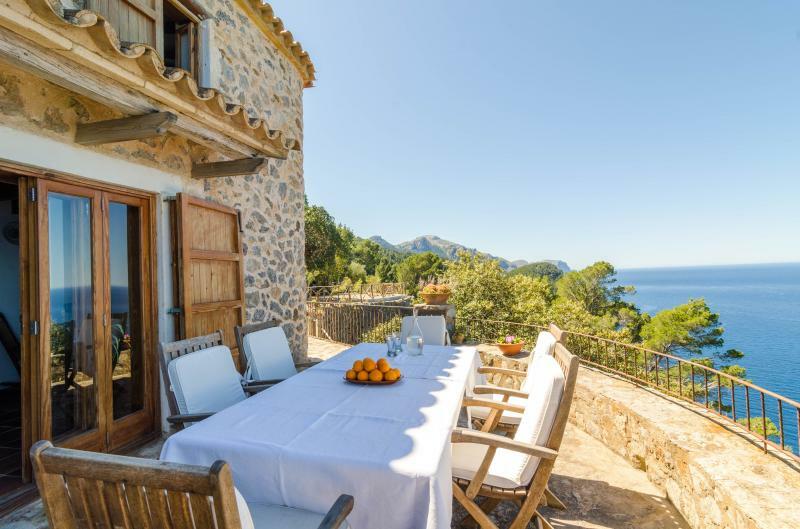 This dapper house is set in Puigpunyent, in the Tramuntana Mountains. 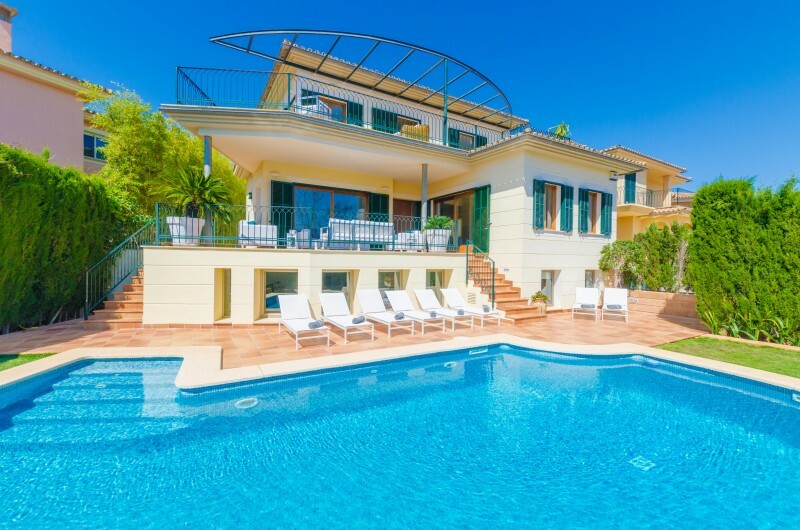 It features a private pool and terrace, ideal for 7 guests. 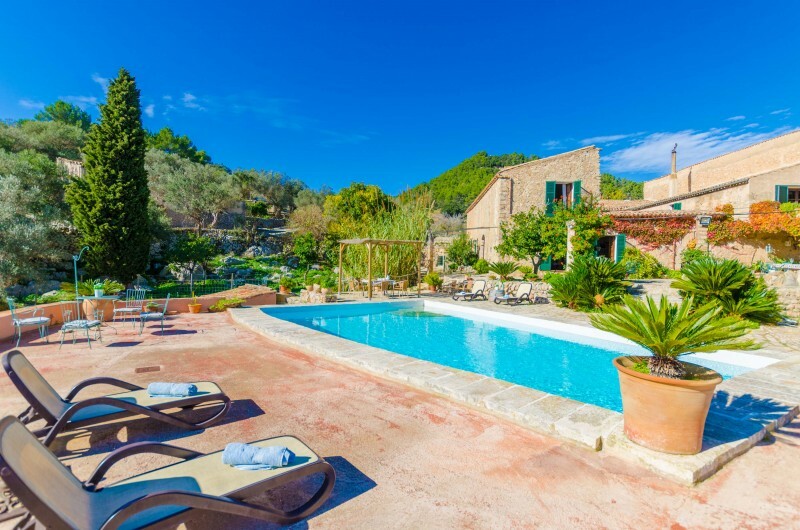 Enjoy your holiday in the mountains of Mallorca and start the day with a bath in the private chlorine pool, with a size of 9 x 4 meters and a depth between 1.2 and 1.7 meters. 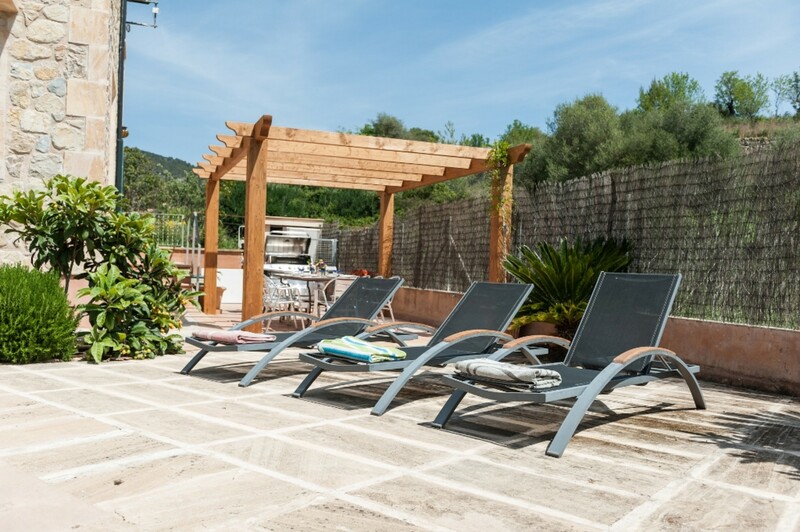 After swimming, you can relax on one of the six sun loungers or have a long breakfast on the terrace. A outdoor bed is ideal for a nap. 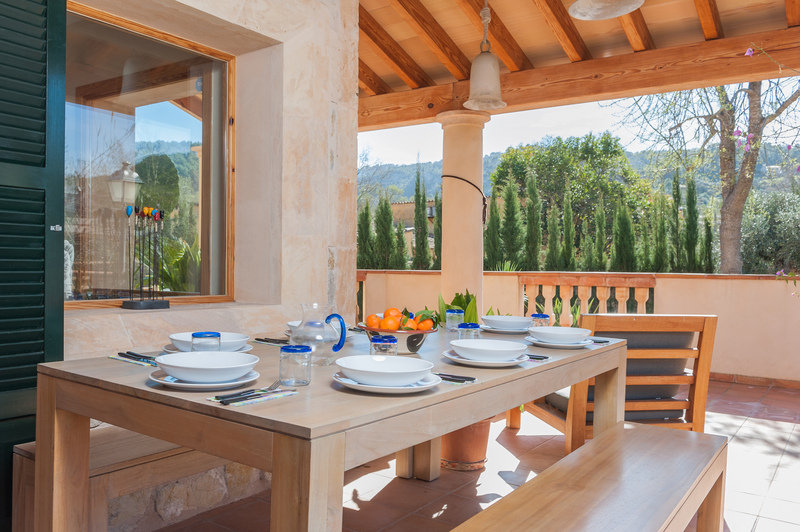 If you fancy cooking, there's a barbecue on the furnished porch. 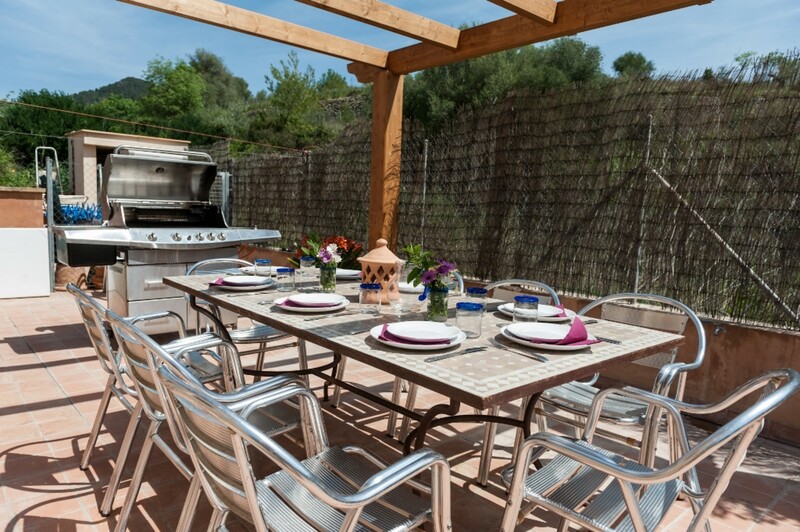 Enjoy great al fresco dining with friends and family. The property is fenced and there are neighbors nearby. The interiors of this house have an elegant and modern style. 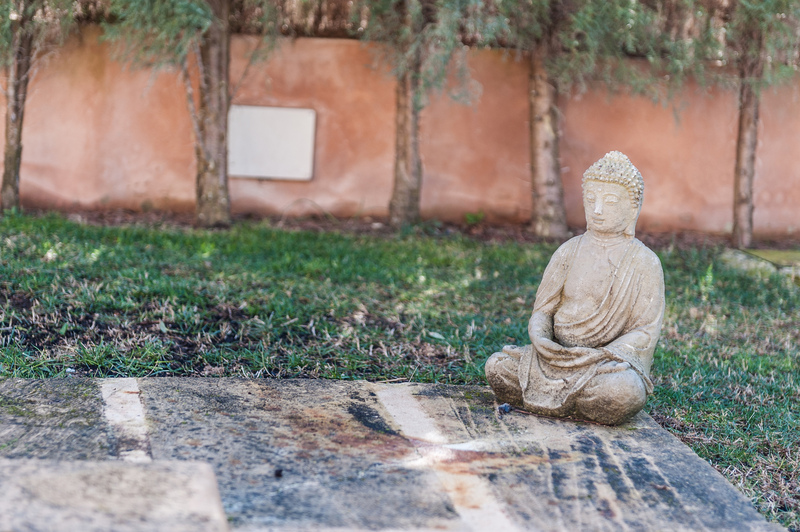 Upon entering, there is the comfortable living room with air conditioning, satellite television with channels in English and German as well as a CD and DVD player. During the colder months you can light a warm fire on the wood stove and enjoy a cup of tea. The dining area is for 8 people. The kitchen is well equipped and offers an induction cooker, utensils, electric coffee machine and a dishwasher among other things. There is a second dining table for 6 people. The separate laundry has a washing machine, dryer, iron and ironing board. 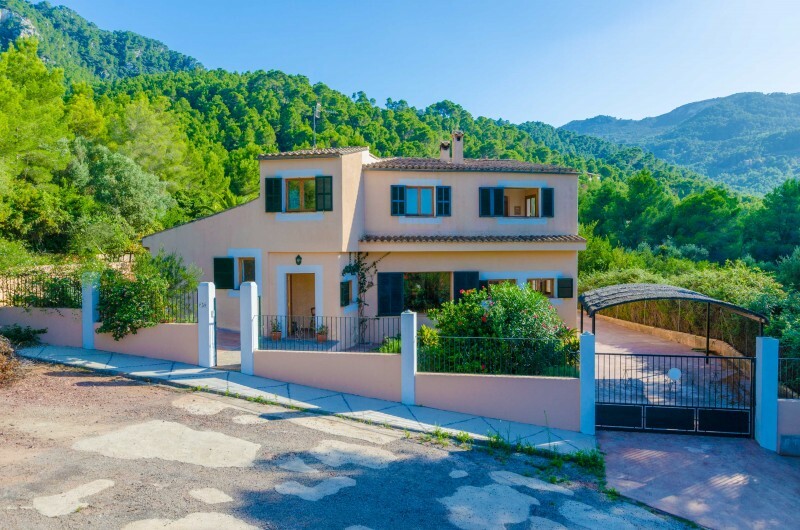 Of the 4 bedrooms, 1 is located on the ground floor and is furnished with a single bed (80x190cm) and a wardrobe. A shower room completes the ground floor. 3 further bedrooms on the first floor each have a double bed, 1 room is equipped with a shower bath "en suite" and air conditioning. In addition to the "en suite" bathroom, there is another shower room. On request, up to 2 baby cots and high chairs can be provided. There's central heating for the winter. 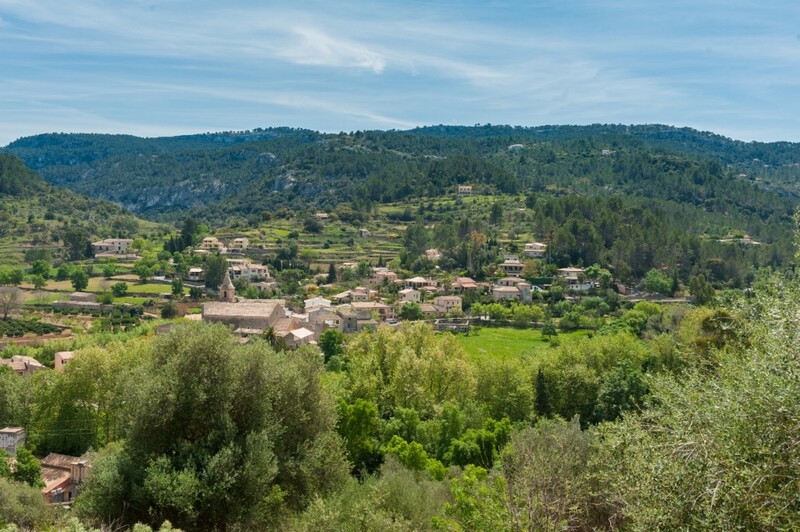 Puigpunyent is a small town in the middle of the Sierra de Tramuntana. 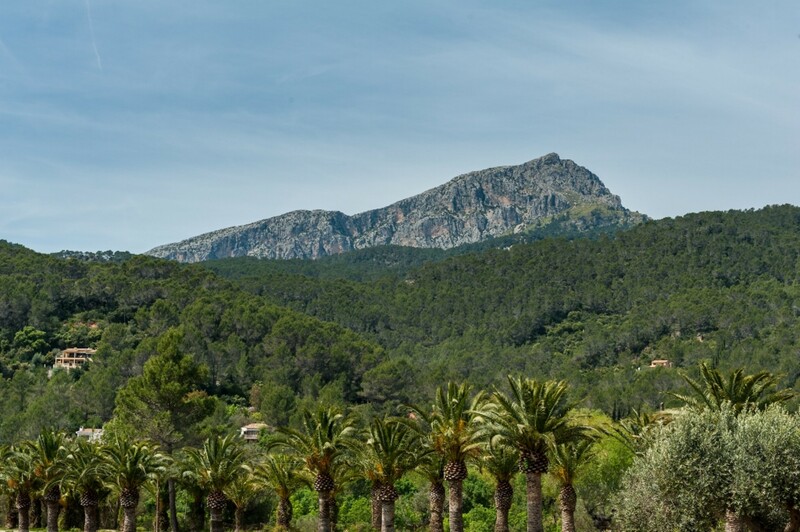 It is in a perfect environment for hiking and cycling and many routes go through the mountains. 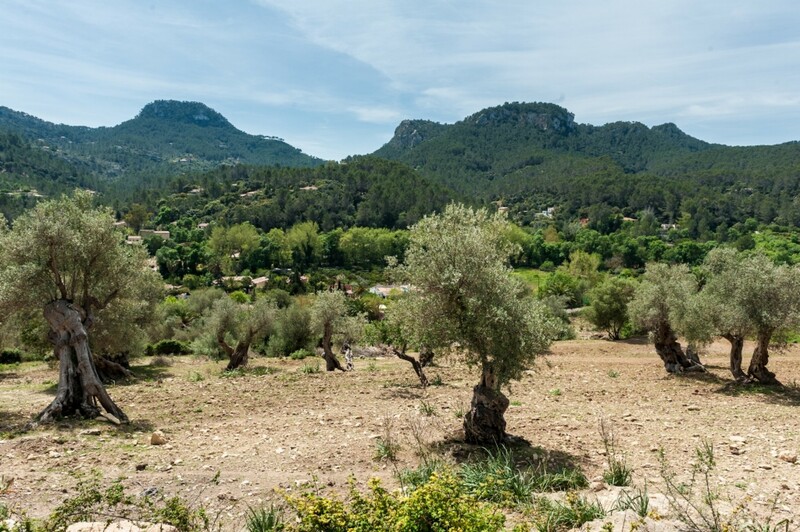 You can do the Camí Vell d'Estellencs to Puigpunyent, climb the Puig de Galatzó or Puig de Na Bauçana, which is close to the very small town of Galilea. 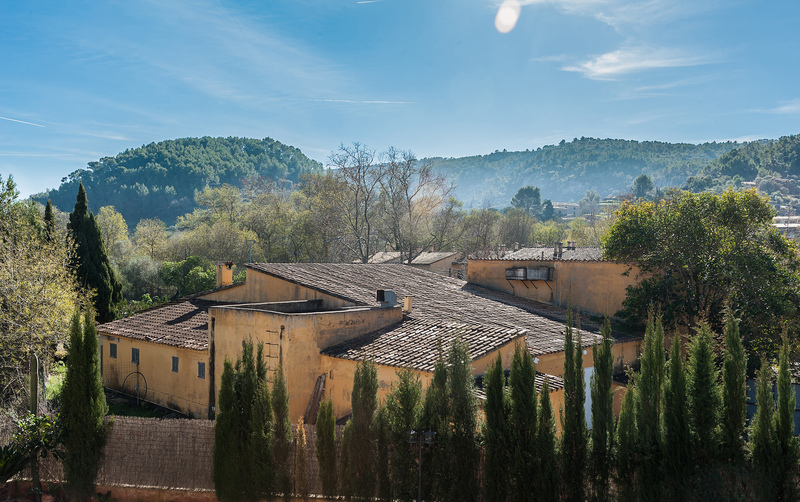 In Puigpunyent you will find a small grocery store, bars and restaurants. 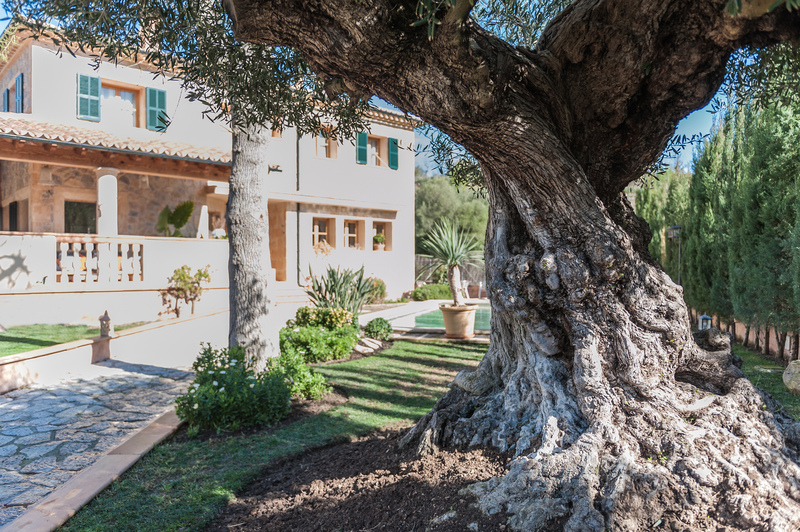 More services and leisure offers are located in Palma de Mallorca. The next golf course is Son Vida and the nearest beach is Cala Major in Palma. 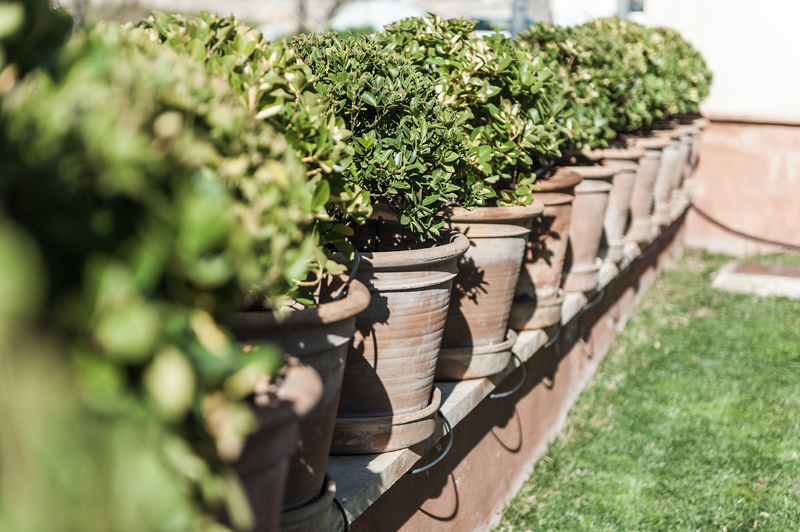 You can visit the small coves of the mountains, including Cala Estellencs, Port des Canonge and Cala Banyalbufar. There are 2 covered parking spaces. There is 1 parking space in the garage. Hospital: 15 km - Son Espases.